The journey is the reward! 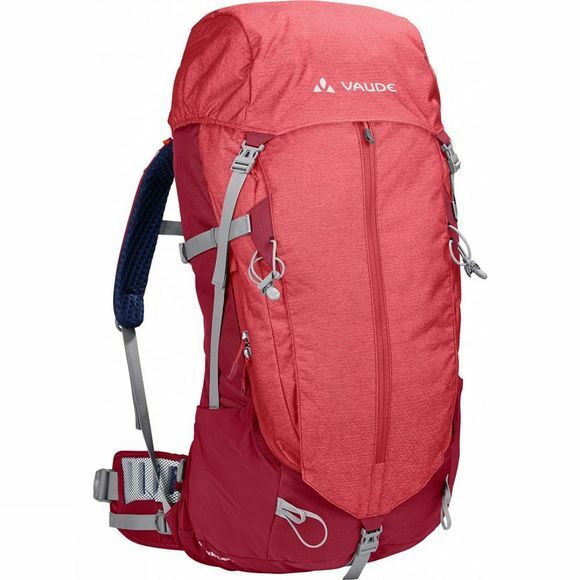 The well-ventilated Womens Brentour 42+10 Rucksack is for longer hikes with a heavier load such as for pilgrimages and hut tours. Vaude's reinforced AeroflexX+ suspension system allows cooling air to circulate at the back and can be individually adjusted to the torso length: good for your microclimate and very comfortable to wear! It can take heavier loads and remains stable and rigid. The hip belt and shoulder straps are specially tailored to the female form. The height-adjustable lid offers storage space for things that need to quickly accessible and is completely detachable. It can also be used separately as a lumbar pack. 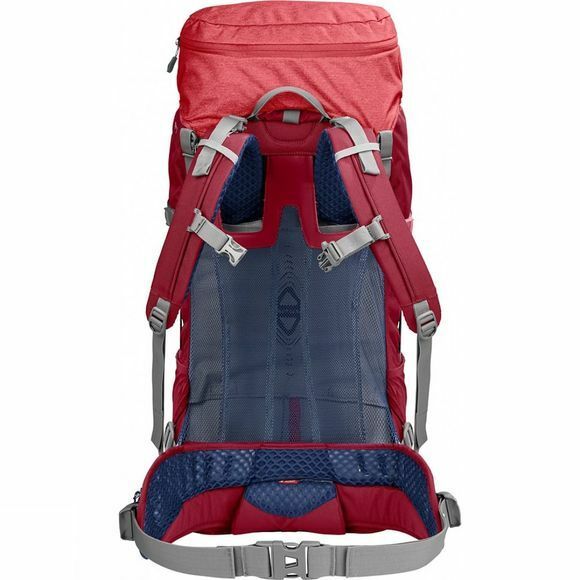 In addition, front access to the main compartment, two stretch external pockets and attachment options for trekking poles or ice tools are practical on tour.